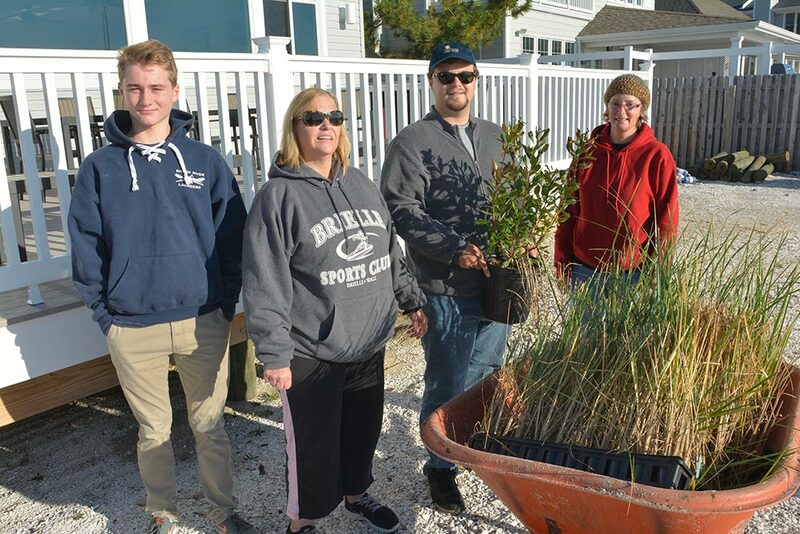 A project to protect the community beach area from wind blown sand movement and shoreline erosion, and beautify the shared clubhouse grounds with native plants. 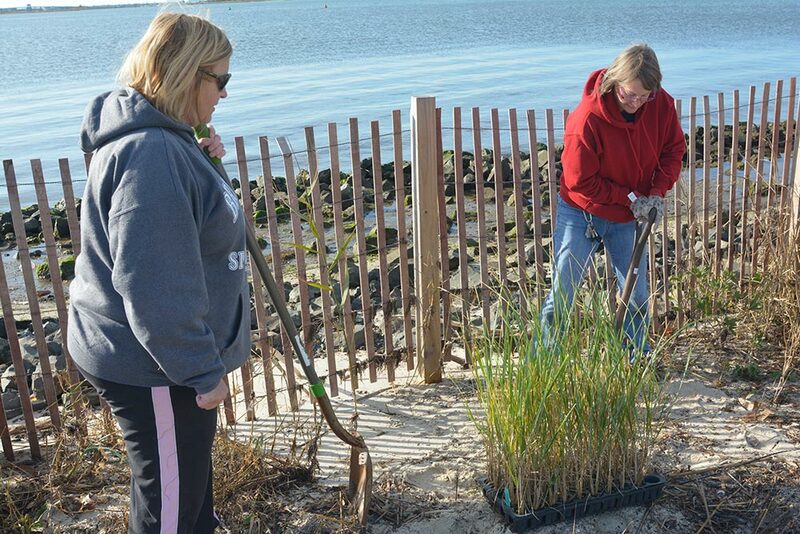 Volunteers plant grasses to restore and protect the bayfront at Bay Shores in Point Pleasant. 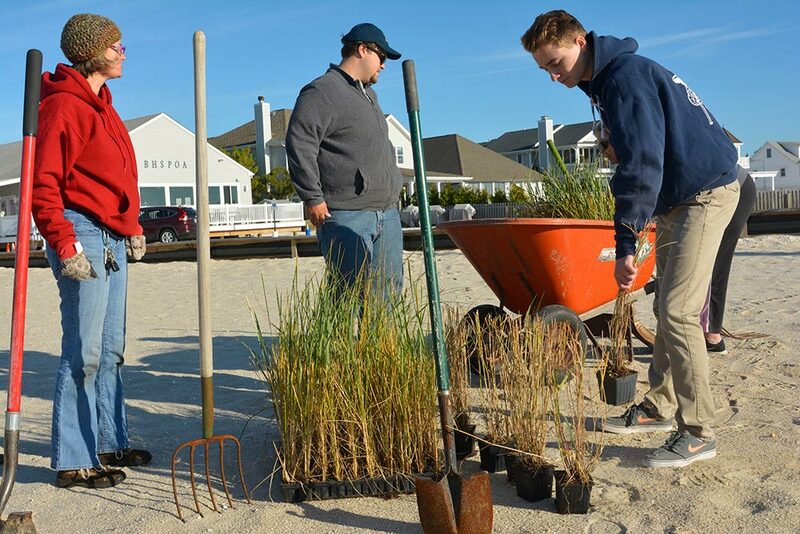 Protect the community beach area from wind blown sand movement and shoreline erosion, and beautify the shared clubhouse grounds with native plants. 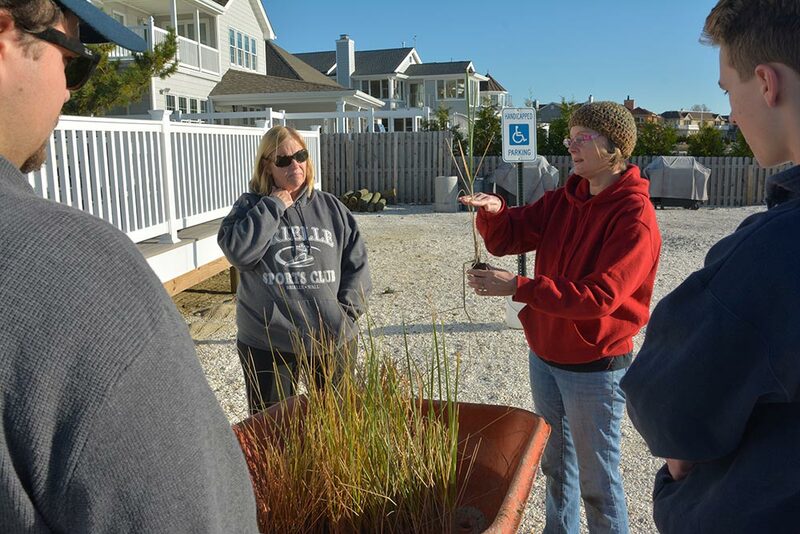 Bay Head Shores Property Owners Association offers it residents 55,000 square feet of space for recreation and enjoyment, including yoga on the beach, sunbathing, and tennis. Windy conditions cause continual shifting sand movement onto the tennis court, parking lot and street. 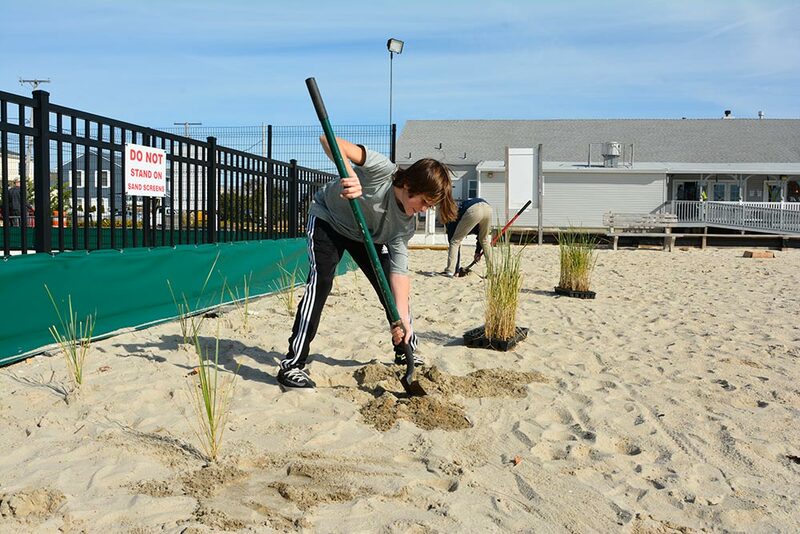 The slightly alkaline, sandy soil in the target area around the perimeter of the tennis court is void of vegetation, offering very little protection from erosion and sand loss. 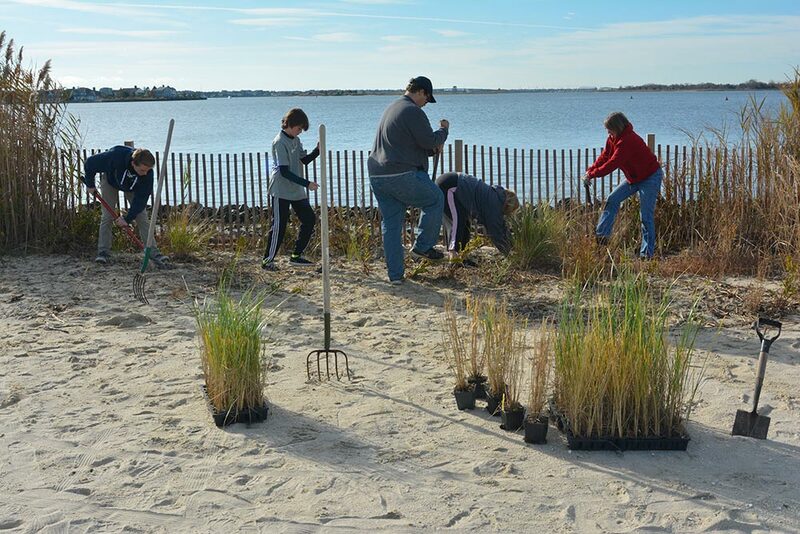 Existing native vegetation along the shoreline target area appears healthy and will benefit from supplemental plantings to help build resiliency against storms. 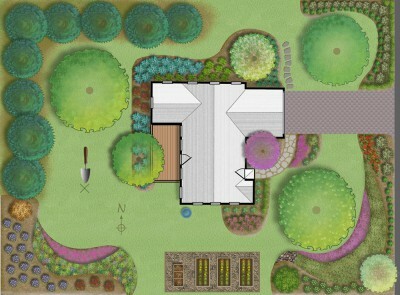 The Jersey Friendly Yards website was used to select drought-tolerant and salt tolerant native grasses, shrubs and perennials that grow well in sandy, nutrient-poor soil. 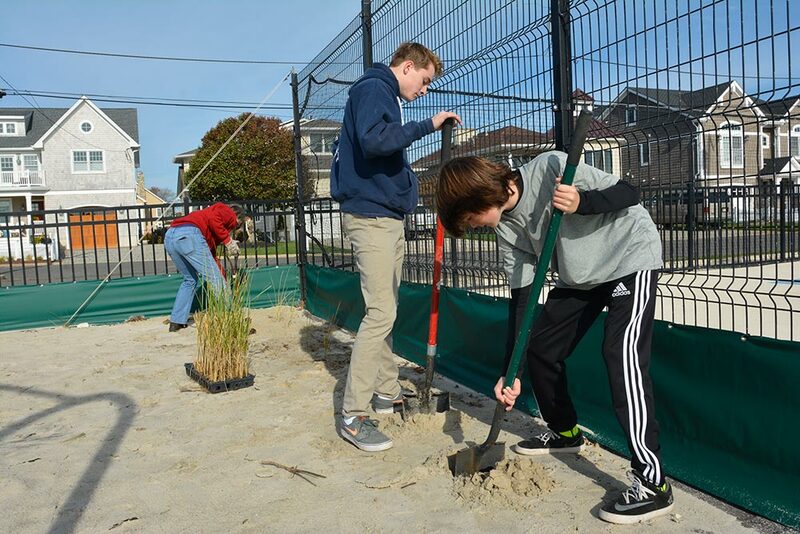 Beach Plum, Groundsel Bush and Beach Grass were installed along the tennis court and back fence line to prevent wind erosion and blowing sand. 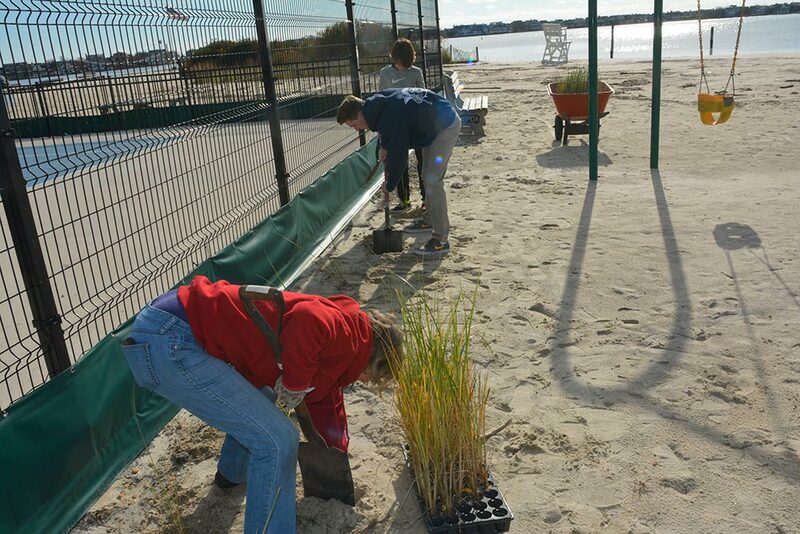 Northern Bayberry and Beach Grass were planted along the shoreline to supplement existing vegetation and create a barrier against wind and water. 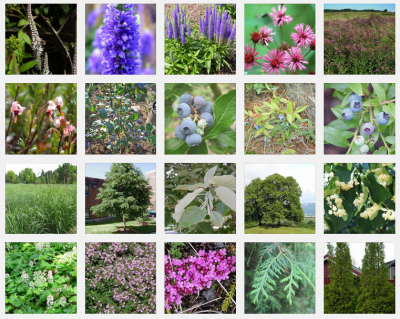 Native perennials were planted next to the benches to add accents of color and to support wildlife. The view of the river and bay is cherished by residents and is a vital component of the expansive landscape that was kept intact.